Robots are all around us – in our workplaces, at home, in schools, and in our entertainment systems. How well do you know robots’ roles in our society. Take the quiz and find out. How did you do? Did any of the questions/answers surprise you? Check out your rating below. Which of the following is a robot? HitchBot, the robot that had hitchhiked its way across Germany, the Netherlands and across Canada without incident, survived just over two weeks and 300 miles in the United States after being vandalized beyond repair and abandoned on a street in Philadelphia. Which of the following IS NOT one of the three laws of robots as proposed by Asimov in I,Robot? B is actually from the 1974 Lyuben Dilov novel, Icarus’s Way (a.k.a., The Trip of Icarus) introduced as a Fourth Law of robotics. This is a trick question depending on if you mean “exist” anywhere including science-fiction. Cyborgs do not exist YET in the real world, but who knows. Maybe one is lurking somewhere. According to recent studies which of the following are concerns regarding robots and our future? Will they take over blue-collar jobs? Will they take over white-collar jobs? Will robots become surrogates or substitutes for humans in terms of relationships? Will robots become self-aware and take over the world once they see how bad humans are behaving? These are just a few of the concerns already making the discussion rounds. Others include privacy, safety, security, manufacturer’s liability, accountability, etc. What concerns you? Which of the following is considered the number one robot of all time? At least not yet, but there is a whole area of legal practice focusing on Robot Law. 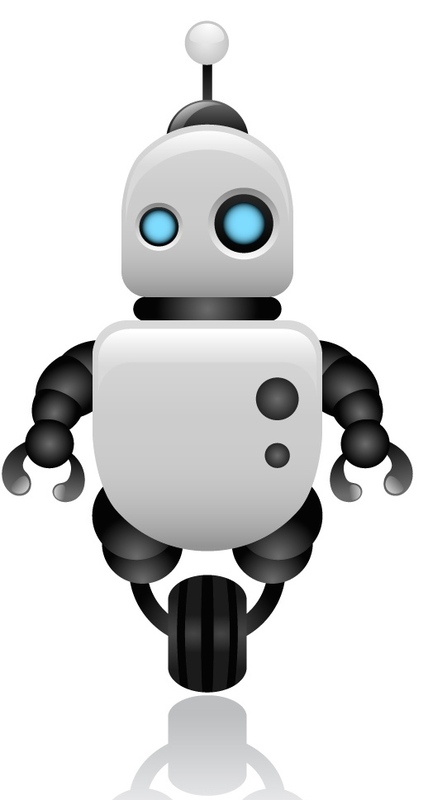 For one example look at this EU Robot Law project: http://www.robolaw.eu/deliverables.htm. Eventually they may be able to. There is much research being done in creating robots that can learn on their own without human programming and teach other robots. Search-and-rescue robots and improvised explosive device (IED) hunters like the iRobot PackBot have served as first responders in war zones and emergency situations, including the hunt for the Boston Marathon bomber. How many robots are in use today based on 2013 sales? 200,000 industrial robots + 21,000 personal robots. Think you know what privacy in the digital world really means? Take the IoUC true/false quiz and find out! You can enter your email address at the end of the quiz and your results will be sent to you. The U.S. Constitution guarantees the right to privacy, which means Americans have an inherent right to privacy in any form. Congress and state legislatures have passed laws protecting privacy online. The majority of Internet users believe that current privacy laws are not good enough to protect their privacy online. True. According to a national survey by the Pew Research Center, 68 percent of Internet users believe current laws are not good enough to protect people’s privacy online while only 24 percent believe current laws provide reasonable protections. Most millennials are confident that the privacy settings on their social media accounts function as they are supposed to. True. 67 percent of millennials do believe the privacy promises of social media providers, according to a Harris poll. President Obama’s Precision Medicine Initiative to personalize healthcare poses privacy concerns. True. The initiative would increase the collection and use of personal data in healthcare. The increasing use of computer power in health research, personalized data collection and personal health analysis will lead from the “Internet of Things” to the “Internet of Me,” according to some in the health industry. Our mobile and smart devices, such as Smart TVs, are designed to protect our privacy and sensitive information on similar platforms. False. By 2020, analysts predict the “Internet of Things” could soar to as many as 25 billion to 75 billion connected devices. As we stand at the cusp of this explosion in technology and innovation, a recent Ponemon Intitute survey of nearly 2,000 consumers in the United States, Europe and Japan found that a majority of respondents are already concerned about privacy and data security. Analysts believe that for people to feel safe about continuing to share data through the “Internet of Things” business must develop scalable tools to ensure both privacy and that sensitive data remains safe and secure. Most consumers do not read website privacy policies. True. Privacy Policies average 2,462 words and take more than 10 minutes to read. It’s no wonder that 86 percent of consumers do not read them. Most people are willing share personal information online. True. New research from a survey of 1,020 UK adults found that 53 percent of respondents are “data pragmatists” who don’t mind exchanging their personal information for value or compensation. Details about love life remain one of the taboos in the over-sharing that occurs on social media. False. 4.6 million people have shared intimate details about their love life on Facebook which, if its 1.44 billion users were a country, would be the most populous in the world, surpassing the populations of both India and China. Hackers have accessed almost 25 percent of email or social media accounts of online users. True. Hackers or an unauthorized third party have accessed or taken over email or social media accounts of 21 percent of the people who are online.